McLaren is the worst. It looks like someone dropped an orange paint can on the car. Should have gone more orange with black trim. I want Toro Rosso to have apparel that matches the car. And then I want to buy a shirt, because their current look is awesom. Force Inida best looking I think that is one of the ugliest and most boring on the grid. I agree with the other two though. First I thought Mercedes was going to be the best looking until Toro Rosso released their car. Definitely the best of everyone looks wise. I really like the Haas look as well. 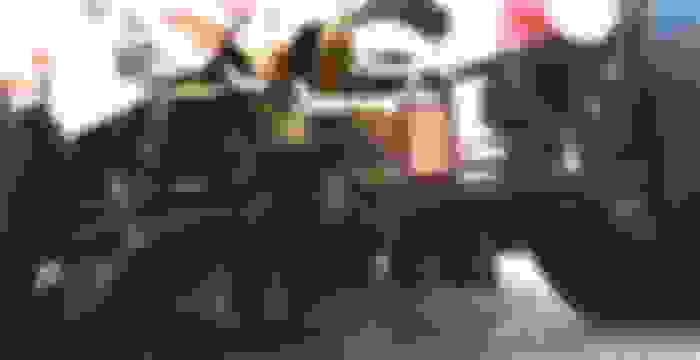 Last edited by CCColtsicehockey; 03-02-2017 at 07:52 AM. The Honda has to have the worst low RPM sound, sputtery is the only word I can think of for it. Not sure how it actually sounds in person, but not great on video. ~3:40, briefly, in the above video. Mercedes > Ferrari > Renault > Honda for sound from the video. Williams have been forced to cancel running on the final day of the first pre-season test because of damage sustained in a crash on Wednesday. Williams discovered a chassis had been damaged when novice driver Lance Stroll spun into the barriers. That meant his team-mate Felipe Massa was unable to take part on Thursday. Williams said they would make repairs and "aimed to be back on track" for the start of the second and final test on Tuesday. Stroll's accident was his third off-track moment in two days. The 18-year-old Canadian is making his debut in F1 this season and is bringing considerable financial backing to the team, said to be at least £20m this year. That is in addition to a similar amount last year, when the team provided him an extensive test programme in a two-year-old car at circuits around the world to prepare him for his debut. But he has had a torrid introduction to F1 in Spain this week. 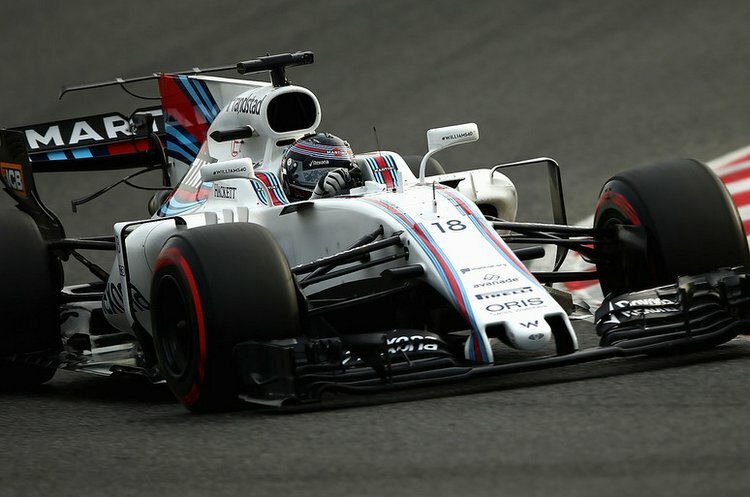 On Tuesday, his first day in the 2017 Williams car, Stroll crashed at the high-speed Turn Nine after just 12 laps and damaged the front wing. Williams had to stop running for the day while the wing was sent back to their base in Oxfordshire for repairs and a new one was flown out for Wednesday. Stroll then completed 100 laps before crashing again at Turn Six. 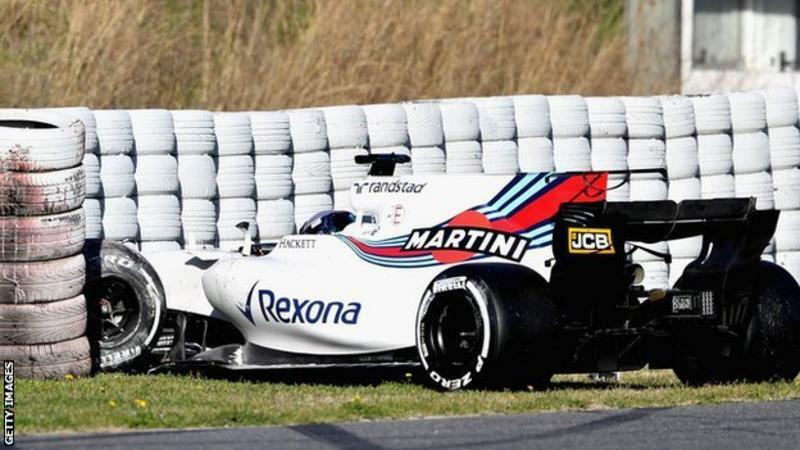 Williams engineering chief Rob Smedley said Stroll had been caught out by the lack of grip on cold tyres. "They are good to lean on them, but there is a certain point where they become very tricky," Smedley said. "Lance was out on cold tyres, on an out-lap with a lot of fuel in the car, and the tyre stepped away from him. "He was an innocent victim of that happening and what should have been an innocuous sideways moment brought him around into the barrier and did some damage. That happens and we expect it to happen - there is no blame on his part." The other nine teams started their running on Thursday on a track that had been artificially soaked for a wet-weather tyre test. The first test finishes at 17:00 GMT. As others have said, I love the Toro Rosso "Red Bull Cola" look. Really stands out. McLaren's livery looks awful. They need a new sponsor ASAP so they can get some inspiration. So Ferrari finishes on top. I really hope this at least is positive enought to mean they can fight for 2-3 wins at a minimum. Also extremely good to see Haas toping lap total for the day. Both Raikkonen and Vettel have said the new Ferrari really feels good. I hope that means this year we can see good results out of both of them. ^ Also, Kimi's time, in testing, which means I assume the cars aren't dialed up to 100% race-spec. Is almost even with his 2008 lap record for the track. A few pics, more at the link above with text to describe the various concepts and components. 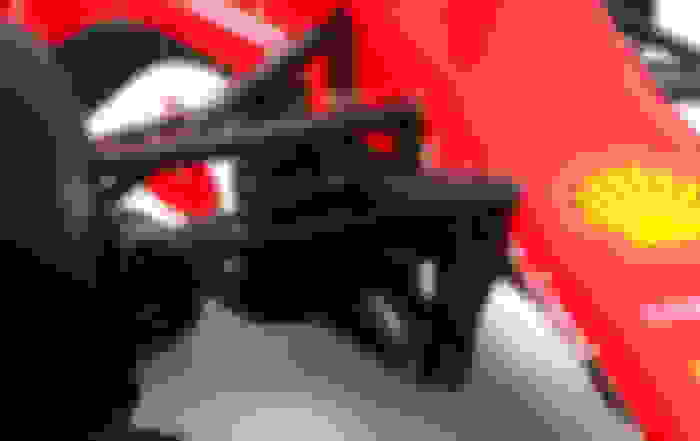 The dismay performance of the Honda F1 engine on the McLaren-Honda is yet another very good example of what work well in factory computer simulators and on factory test benches, may not at all translate well as real performance on the race tracks. So when the Brawn-Mercedes F1 cars did so well back in the 2009 season, it might have failed big time if the hypothetical Brawn-Honda was deployed instead. Honda, the Japanese car company renowned for producing some of the most reliable road cars on the planet, seems to be having a hard time supplying McLaren's Formula 1 team with engines that last more than a day on track. The first week of testing for the 2017 season is behind us, and the team from Woking still isn't at its best, despite that cool new orange livery. 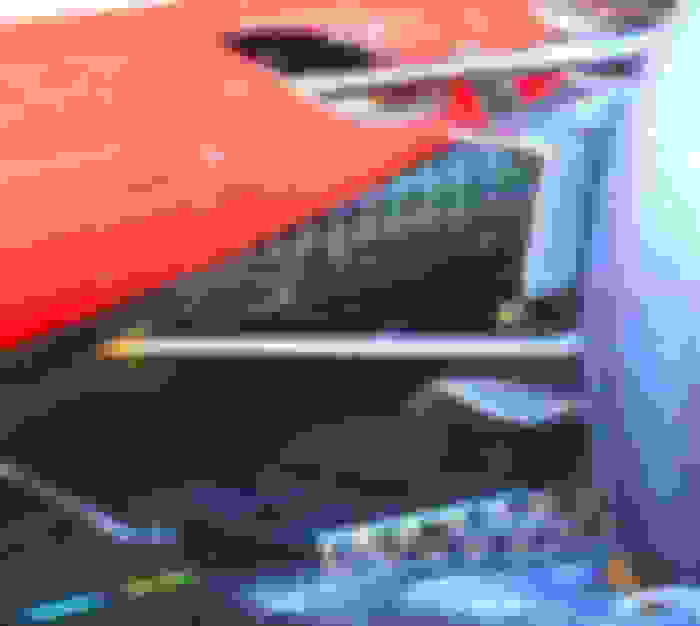 During the first four days of testing in Barcelona, McLaren and its MCL32 chassis went through no fewer than five separate Honda-supplied power units, report WTF1 and BBC Sport. The team ran into a number of different problems on Monday and Tuesday, resulting in a trio of different engines being swapped in to get the car back out on track. By the end of the week, McLaren had cycled through two more units, despite having been on track with no issues. Back on Monday, McLaren driver Fernando Alonso ran into a multitude of problems on his first go in the new car, completing just a handful of laps before having to retire for the day. The second round of testing kicks off tomorrow, where teams will get four more days to work out any outstanding issues. After that, it's off to the races. I really had high hopes Honda could get it right this year and at least have a respectable performance to be mid pack. This is just terrible though. I'm really surprised and excited by all the cool tech that went into the new Ferrari, I think Vettel will be challenging Hamilton for the WDC with it. But their car is quick and reliable on the first running. Last edited by Legend2TL; 03-07-2017 at 07:49 AM. Red Bull boss Christian Horner wants Formula 1 teams to get together to discuss ditching the shark fins from Formula 1's 2017 designs, amid growing criticism that they have ruined the look of the cars. An opening in the bodywork regulations for this year has meant most teams have pursued the development of shark fins to help condition airflow to the rear wing. Furthermore, some teams have also fitted high T-wings to try to eke out even more performance from this area. The move has not gone down well with fans, and even F1's top sporting man Ross Brawn has said he is eager for something to be done to get rid of them. Horner, who proposed last year that teams agree to change the rules to ditch them, has been one of their biggest critics, and he hopes there is still time to get something done before the season starts. 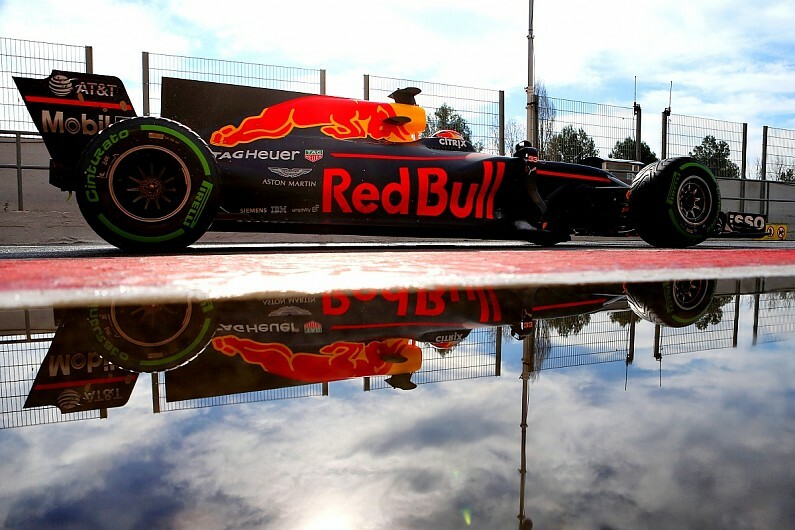 "The cars on track look great, they're giving the drivers a harder time," Horner told Motorsport.com. "The only disappointment for me is that it would have been nice to get rid of these shark fins and moustache-like wings! "Maybe there's still time to address that, because it's a shame it detracts slightly from the aesthetics of all the cars, and everybody would be affected in the same way. "It would be nice if we could get that nailed. But I think overall definitely the cars look a step forward, they're going faster, our drivers aren't giving any feedback of it being different to follow a car ahead, so I don't think racing will really be that affected." Under F1's governance procedures, any change to the technical regulation now to outlaw the shark fins would require unanimous approval. While some teams may be reluctant to give them up, Horner thinks it important that people consider the impact on the sport rather than their own competitive interests. "We need to take a sensible pill," he said. "Every aerodynamicist in every team I'm sure would argue – ours included – that they should be there, but if you look at the bigger picture and the aesthetics of Formula 1, it would be right to try to get rid of them." So, get rid of them because they look bad? IMO, the worst was the goofy double front wings from the mid-2000s. Hmmm, not good but perhaps better in the long run. French engine expert Gilles Simon has left his role as a consultant to Honda's struggling Formula 1 programme. 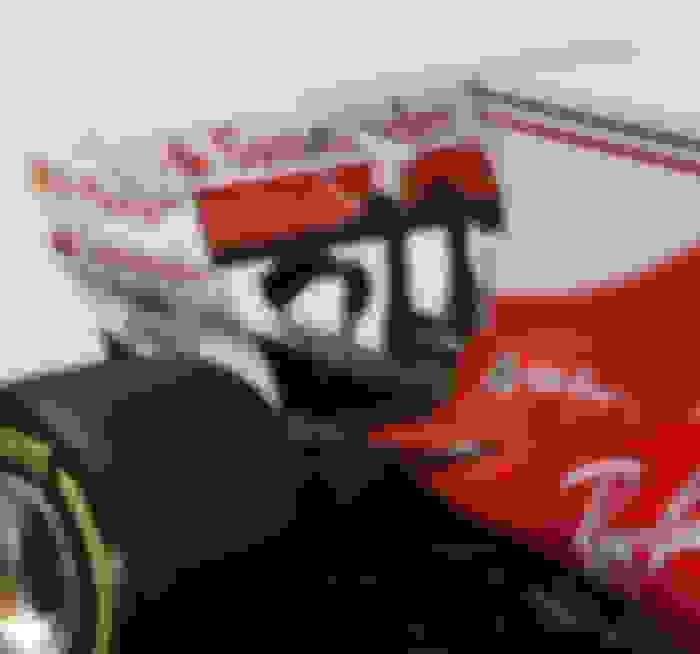 Simon, who previously worked for Renault, Ferrari and governing body the FIA, had been with Honda since they announced their return to F1 in 2013. Simon is on gardening leave from his position and a Honda spokesman confirmed the 58-year-old's contract would end "some time this year". He refused to comment on reports Simon left as his ideas were being ignored. Honda has struggled since it returned to F1 with McLaren in 2015 and the Japanese company's programme for this year had a dismal start in last week's first pre-season test. 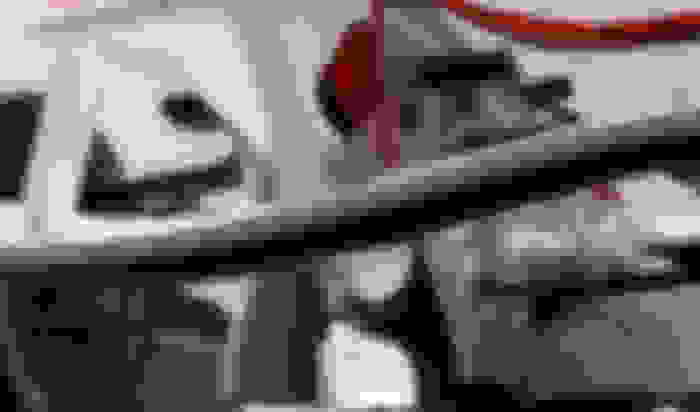 The company used at least five engines in the course of four days at Spain's Circuit de Barcelona-Catalunya as a series of reliability problems restricted running. Honda F1 boss Yusuke Hasegawa admitted he "worried" about whether the company could solve a problem that led to an engine failure before the start of the season in Australia on 24-26 March. And McLaren racing director Eric Boullier admitted that the situation was "not good enough". Boullier added: "There is a bit more work to be done in Japan to investigate why we had those issues: issues that we absolutely did not expect to have - and for sure neither did Honda. "It is fixable, but it was not the plan to have these issues. They are not really serious, as there are no fundamental issues with the design." 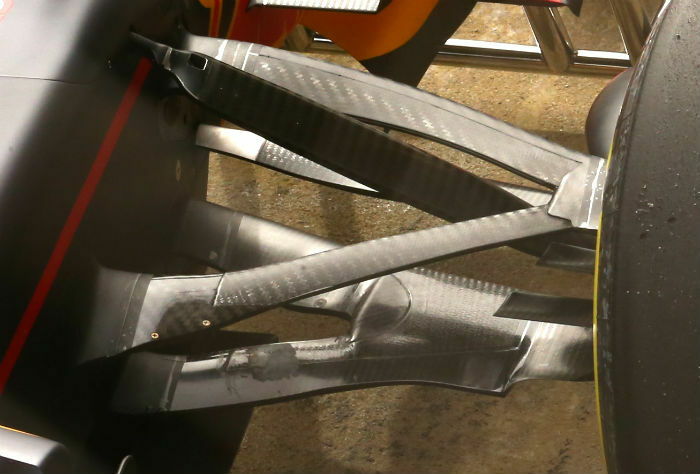 Honda is in so much trouble that it's masking the deficiencies with the McLaren chassis. Get rid of the shark fins. It's the worst development for race cars over the last 15 years. Liberty Media chief executive Greg Maffei has scoffed at the amount paid for F1's television rights by the American broadcaster NBC. Headed by US media tycoon John Malone, Liberty has talked about expanding F1 within America and borrowing from the successes of popular US sports events like the Super Bowl. But chief executive Maffei scoffed at the reported $3 million paid by NBC to televise the races. "The US is, you know, it's a popcorn fart," Maffei is quoted in Forbes by journalist Christian Sylt. "The opportunity is good, certainly in percentage terms, not in absolute dollar terms. It is very low." Sylt said NBC's contract runs out at the end of 2017, with Maffei admitting there is scope to see the value of the deal increase. "We are going to do far better on those renewals to the degree a couple of things happen. First, we have passion, viewership etc and two, the extent there's competition," he said. Bye bye NBC. Hopefully we will finally be rid of Hobbs. Maybe we can get no commercials during the race. I mean one can wish right. Who gets US broadcast rights when/if NBCSN drops it? Doubtful. NBC already shows a lot of racing during commercial breaks. Any new broadcast partner would probably increase commercials if they have to pay more than NBC. Liberty Media shares a lot of the same ownership as the Discovery Group. Not sure, but I'm sure Sirius XM will be involved somehow. I could see like FS1 making a bid. That would be terrible. Why can't we get some coverage like in Europe that is non-stop and with commentary the entire time. I mean lets be honest if you are not watching on like a 60in TV or larger the split screen with commercials playing next to it is almost impossible to watch what is going on. As long as I can still watch, without having to HDMI my computer to my TV & stream. Amid ongoing problems for the Woking-based team, the Spaniard did not hold back on Wednesday in pointing out who shouldered the responsibility for McLaren's difficult situation. "I don't think we are too far back in terms of chassis side," he said, when asked to assess McLaren's position. "We have only one problem: that is the power unit. "There is no reliability and there is no power. We are 30km/h down on the straight, every straight. "So when you are 30km/h down on every straight it is difficult to have a feeling on the car. "Everything feels good, but when you arrive to normal speed you don't know what is going to happen." ^ I'm astonished Honda is in this situation on their 3rd year back. So I haven't seen any picture of this before. 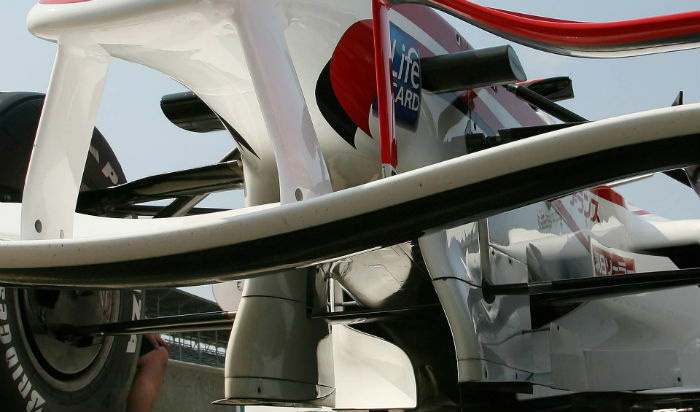 Maybe it was just because this picture was on the front of the site larger and I haven't looked through many picture of the Williams car but I found it interesting. 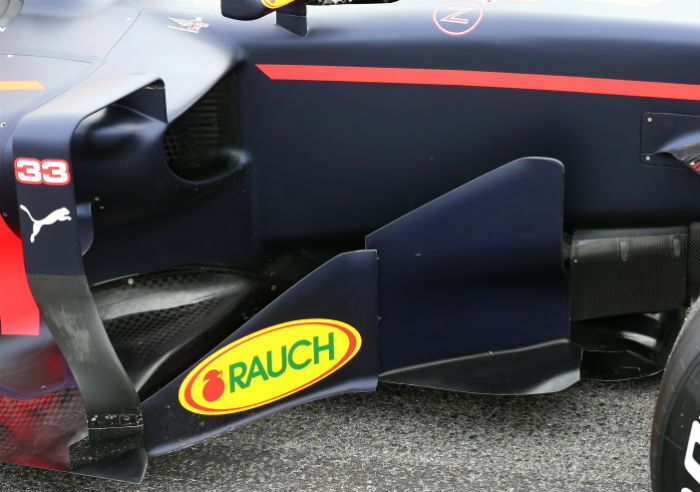 Not only are they running a wing on the shark fin like serveral over cars but they also have a small wing simlar to the top one coming off the sides further down the rear body work below the shark fin.